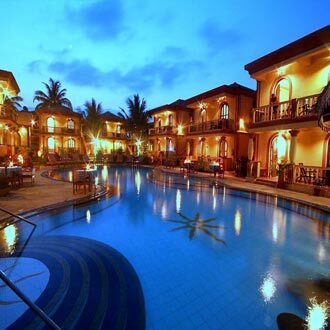 This boutique resort welcomes you to Goa - the land of sun, sea and surf. Set amidst lush landscaped gardens, the resort comprises of 46 enchanting villas with traditional architecture and Portuguese charm that transcends guests to another time. Guests can head to the Blue Bristo, a multi-cuisine restaurant, serving global as well as local delicacies. Chill-out in the swimming pool and sip on some cool concoctions offered by the sunken bar or head out to the beach, which is a few minutes away.